Heavy version for long working life. 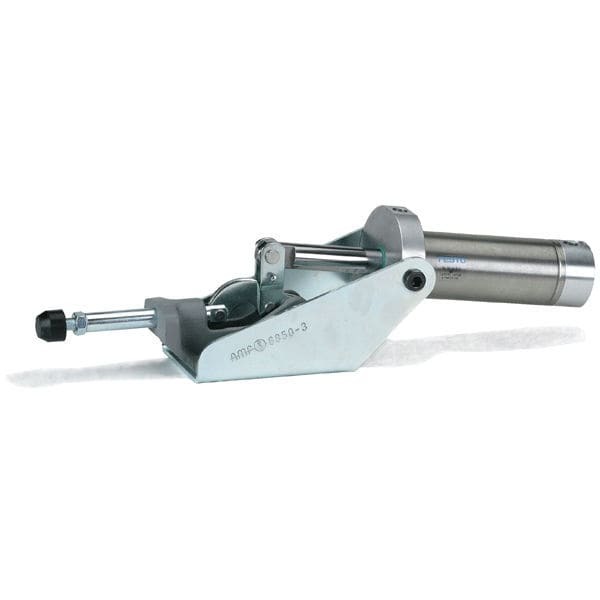 Fitted with double-acting FESTO pneumatic cylinder with flow-restriction drillings for reduced speed, anodised, assembled and ready to connect. Sizes 3 with magnetic piston to signal end positions, for sizes 5 and 7, end position monitoring is not possible. Materials: console galvanized and passivated, clamp body is malleable iron casting, painted. Toggle parts and push rod are heat-treated steel, galvanized and passivated. Rivet is stainless steel. Bearings are pre-lubricated.